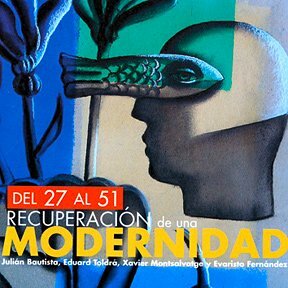 "From 27 to 51: Recovery of modernity"
Works of Julián Bautista, Eduardo Toldrá, Xavier Montsalvatge and Evaristo Fernández Blanco. When we started this project we undertook a search of the Spanish Musical Heritage exists in this period. Some works were known but rarely played and others, however, quite unknown. While some composers of that generation are well known, part of his repertoire is not regularly scheduled for various reasons: start of the Spanish Civil War, the sharp break with the musical environment, disappearance of scores over the spoils of the war, emigration to Europe and Latin America, non-publication of some of the works; deaccessioning of other previously published, and so on. This recording attempts, first, give an example of a repertoire of high quality usually is not interpreted and, secondly, to honor a lost generation in Spanish music, as due to civil war could not exert the influence it deserved. You can make it through this link. You can make a donation to the Foundation GARCIA-ESTEBAN. The donation includes shipping. The funds received are used for objectives of the Foundation.